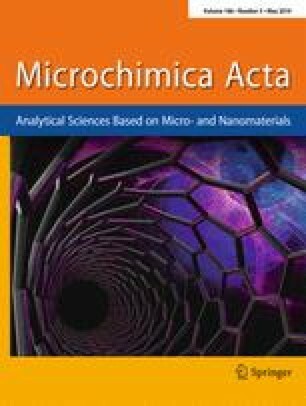 Photocathodic methods in photoelectrochemical (PEC) analysis are based on the use of functional photocathodes. Heterojunction cathodes consisting of different kinds of semiconductors are being considered as favorite schemes when compared to the single-component ones. A semiconductor heterojunction between CuBi2O4 (CBO) and other semiconductors has not been exploited in PEC assays so far. 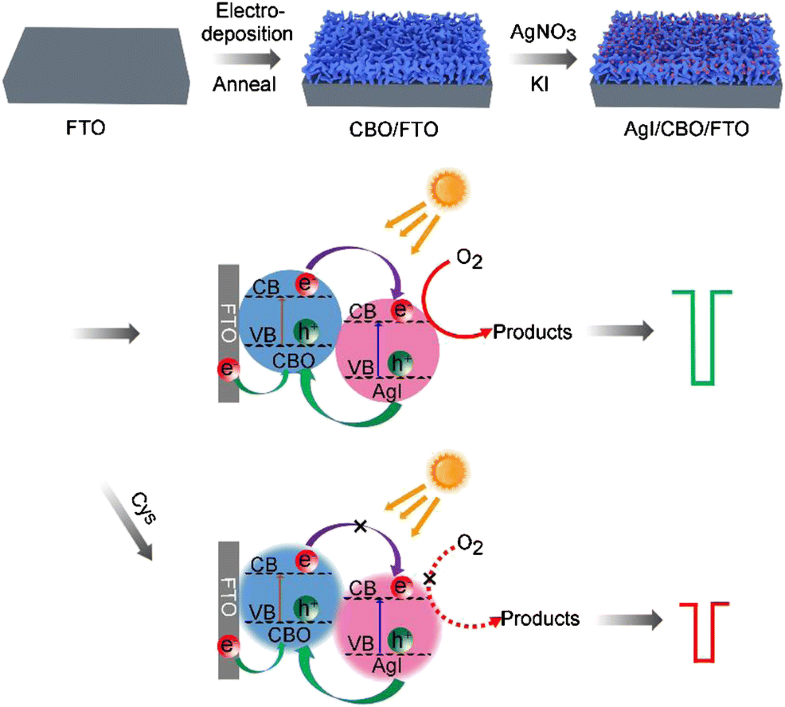 Herein, CBO nanospheres were initially electrochemically deposited on a fluorine-doped tin oxide (FTO) conductive glass and then coupled to chemically deposited AgI nanoparticles to obtain an electrode of type AgI/CBO/FTO. It was applied as a cathode in the PEC detection of L-cysteine as a model analyte. The sensor can selectively detect L-cysteine, and it is assumed that this is due to the selective interaction between the L-cysteine and both copper and silver via the formation of Cu-S and Ag-S bonds. The photocurrent of the electrode increases linearly with the logarithm of the cysteine concentration in the range from 0.1 and 50 μM, and the detection limit is 0.1 μM. Schematic presentation of the preparation of an AgI/CuBi2O4 (AgI/CBO) heterojunction on a fluorine-doped tin oxide (FTO) electrode and its application to the cathodic photoelectrochemical detection of L-cysteine. Ling Zhang and Yu-Liang Shen contributed equally to this work. This work was supported by the National Natural Science Foundation of China (Grant Nos. 21675080, and 21705059) and the Natural Science Foundation of Jiangsu Province (Grant No. BK20170073).